New Trailer for Rick and Morty Season Two! Leave a Comment on New Trailer for Rick and Morty Season Two! 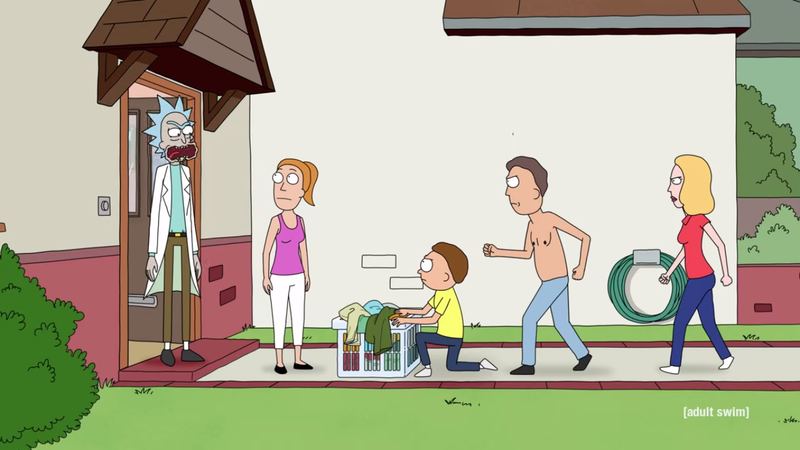 Rick is causing more trouble than ever in the Smith residence, dragging not only Morty on his adventures in the all new season, but also including his son-in-law Jerry and his grand-daughter Summer in his drunken quest. Can the family survive the danger and insanity that Rick causes? Rick and Morty: Season 2 premieres on Sunday, July 26th at 11:30 PM ET/PT on Adult Swim! You can check out a trailer for the upcoming season below!